Europe to implement new travel approval system, aiming to improve security and 'avoid problems' with illegal immigration and terrorism. The European Union (EU) from 2021 will require US citizens traveling to Europe to received a pre-approved travel pass. The European Travel Information and Authorization System (ETIAS) registration will need to be requested and approved prior to the flight, and will cost approximately $7.90. It will require a valid passport, a credit or debit card, and an email account. The ETIAS permit will be valid for three years and multiple trips in and out of the 26 countries in the Schengen Zone. The EU expects that 95% of applicants will be automatically approved for the travel pass. Currently, US citizens are allowed to travel without a visa or travel pass for up to 90 days. According to the EU, the new travel requirement comes in order to "improve their security level to avoid any further problems with illegal migration and terrorism." According to the ETIAS' site, the system "will speed up, facilitate, reinforce and modernize the border control procedures by offering better protection against document and identity fraud. ETIAS visa is an early indication as to whether or not an EU visa-exempt traveler is admissible into the Schengen Zone and the adoption of this travel authorization will considerably reduce the number of refusals of entry to Europe." "Each citizen from the visa-free countries needs to apply for ETIAS prior to boarding. 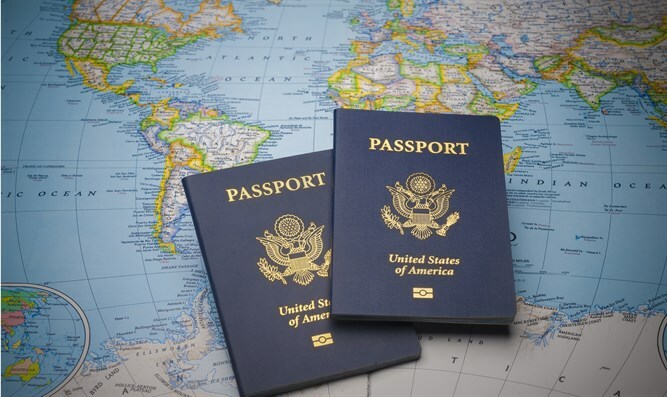 Once issued, a valid authorization will allow its holder to stay in 26 different countries in Europe for a period of up to 90 days in any 180-day period and it is valid for 3 years from the date of issuance or until the expiry date of the passport, whichever comes first." The system, the site said, "will assess if an applicant will pose a risk to the European Community in terms of migration, security or public health." Minors will not be required to register with ETIAS.